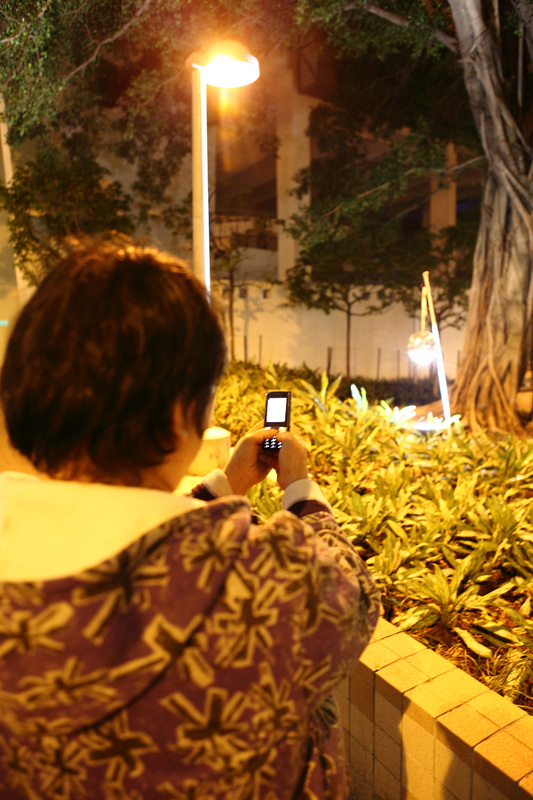 Nowadays, it’s a common phenomenon that people are busy focusing on their own ‘work’ when they are walking along the street. For example: making phone calls, texting messages, listening to music, playing with their electronic devices etc. They seem to disconnect with the community. The aim of this project is to draw people’s attention by setting up an urban intervention, and to reconnect them back to the community. 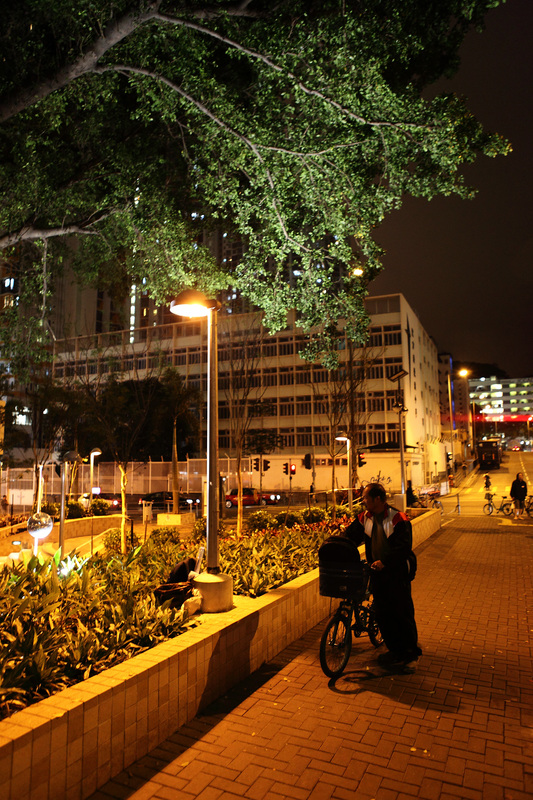 The setup is, hanging a mirror ball near a street lamp to let the pedestrians to see its shiny surface and its reflections. – When pedestrians was walking through the road. – Once they discovered the reflections, they will stay for 5 to 20 seconds or even longer. However, if they noticed I was watching them, they would escape immediately. – During the process, I hope the pedestrians will thoroughly look at this area that they usually didn’t to pay attention to, the walls, the plants, the trees and the buildings, also the relationship between the reflections and all the surroundings. 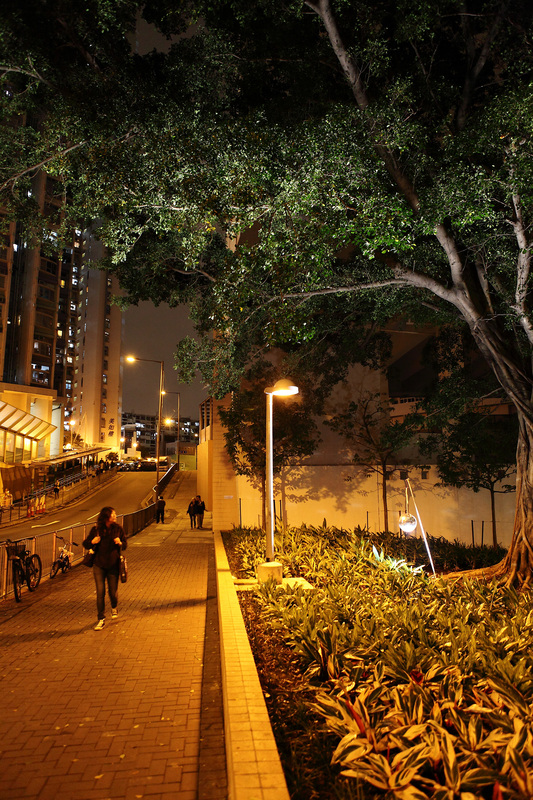 – It’s interesting that the street lamp is facing to the tree rather than to the road, and a strong spotlight was there to illuminate the trunk of the tree showing that the creator/designer emphasizes the existence of the area/tree. 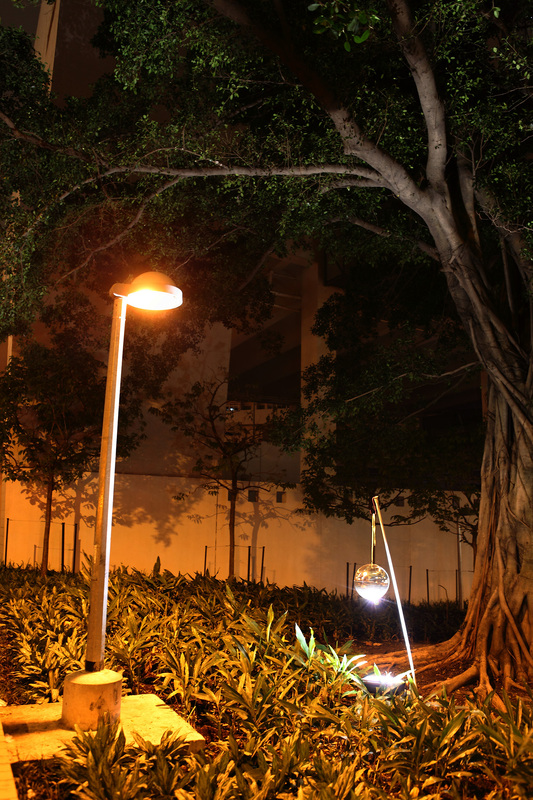 This urban intervention enhances the effect from these two light sources. 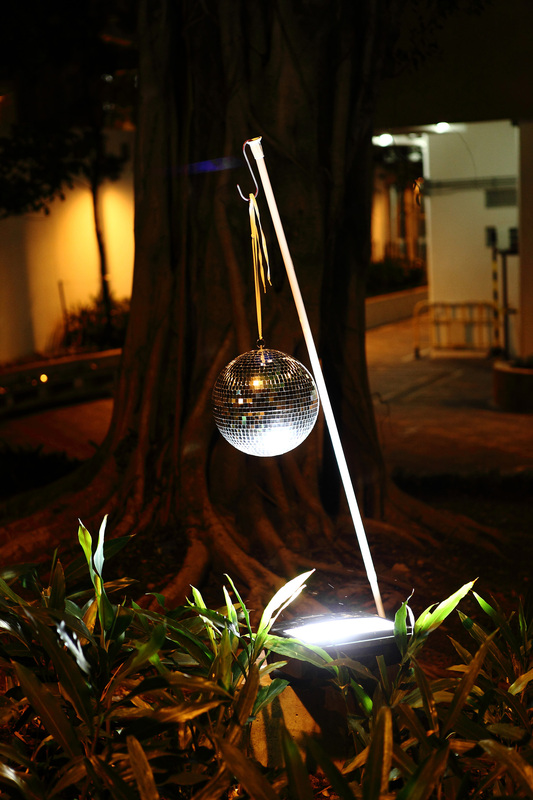 – Hanging a new mirror ball near to an old tree showing the contrast between the new world and the history of that area. – The light reflections beamed on the surroundings showing that how the mirror ball react and relate to this specific area. – The turning around movement of the mirror ball showing that how the mirror ball react and relate to the natural environment (wind) and human beings (wind created by their movements). – The pedestrians look at the visual effect created by this installation, showing that they are having connection to the surrounding as well as the community.